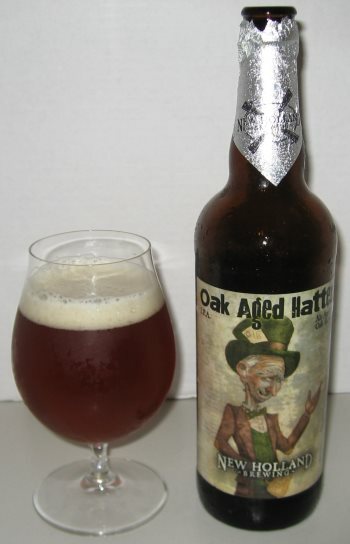 Oak Aged Hatter, one on New Holland Brewing’s Mad Hatter series is Mad Hatter IPA aged in Kentucky oak. It’s a medium bodied, medium alcohol level (7.12% ABV for the 2013 offering) brew, so it probably isn’t going to stand up to cellaring like a bigger aged beer would. That said, you still get a lot of flavor from the oak here. 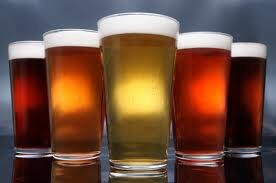 There isn’t much of a head or carbonation to speak of. The nose has molasses and licorice. The middle is woody, with more licorice, orange, and parsley. The finish is just a bit boozy with the signature vanilla flavor of fading oak and a bit more orange. There’s a lot going on here, but even so, it seems like it isn’t quite well rounded. It just comes of…A bit flat. 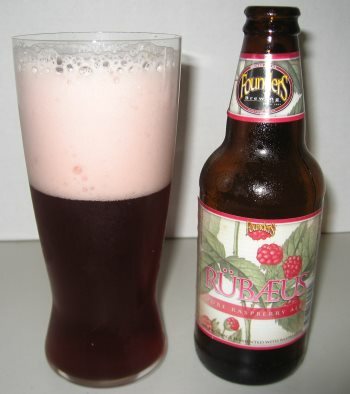 There’s really nothing not to like here, but to me it’s a good beer, not a great one. This entry was posted in Reviews and tagged Aged Ale, IPA, Mad Hatter Series, Michigan, New Holland, Oak Aged on October 1, 2013 by Xander.